Advertisements cascade from the left, right and up above, attempting to lure in some victims to test out new products. Thankfully, some of these new products have already been tested. One of these products has already been compared to others with similar attributes. 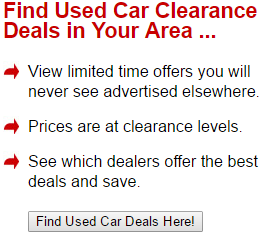 That particular product is the new 2015 Mercedes-Benz GLK-Class automobile. From a company who has already attained pleasantly strong credentials, this new product is one to take seriously. By the way, the results are organized below and within reach. Technology is so efficient. Here are the top ten reasons to buy a Mercedes-Benz product this year, followed by a few factors that might cause second thoughts. The top priority in a new vehicle search should be the safety of the driver, precious cargo and passengers. This vehicle earned the strongest safety ratings in crash-worthiness, including moderate overlap front, side, roof strength, head restraints and seats. Additionally, In the event of a rollover, side curtain air bags will be deployed by the rollover sensor. People should feel safe in a vehicle, and these precautions make the model safe. The lane departure warning and blind spot monitor are helpful in freeway driving as well as daily commutes. Lane departure is a safeguard against driving off the road, and the Mercedes-Benz GLK-Class helps keep track of the hard-to-see places alongside the vehicle. A vehicle should help decrease the strain of driving, and that is how this one operates. Yes, it is a larger vehicle that provides space for the vacation luggage, but it can still handle switchbacks like a sedan. Traction remains steady, and bumps are absorbed to get people to destinations efficiently. The automatic transmission is steady and makes for a smooth trip. Music lovers, audiobook lovers and news station listeners will all make use of the audio system in this vehicle. Conveniently including Bluetooth and hookups for an Ipod or Iphone, a beautiful variety of modern technology resides here. Preventing boredom during a long drive is a huge luxury. Consider the panoramic sunroof for a high style and carefree drive. The 2015 Lexus NX cannot do that. Open the trunk with the press of a button, then unlock the doors using keyless entry. It will take more time deciding where to go than packing to get there, thanks to the low cargo floor of this vehicle. Once fully loaded, the Mercedes-Benz is ready to take its passengers from mountaintops to freeways, dirt roads leading to beach-side drives, and all the way back home. This sporty vehicle leaves the 2015 Porsche Macan and the 2015 Lexus NX in the dust when it comes to its towing capabilities: up to 3500 pounds. Imagine how that could come in handy. Auto-leveling headlights make the road more visible during night driving. This reduces shining of headlights into other drivers’ eyes on a bumpy road. Once again, the vehicle does the hard work so the driver can focus on driving. Try saving gas with the ECO start and stop settings. The vehicle is smart enough to conserve gas while at a complete stop. Saving money and helping the environment are basically wired into this vehicle. Now, feel the pure luxury of this vehicle while saving money and providing a more gentle touch to the environment. This setting may be canceled when it is not needed. The back seats are easy to flatten which drastically increases the amount of space available. This is a miracle when large items need to be transported. If the items do not fit in the vehicle, try not to forget about the vehicle’s towing capacities. 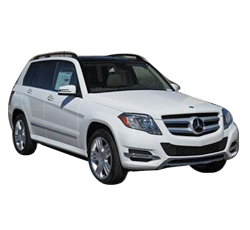 The GLK 350 has an optional all-wheel-drive feature for those who adventure in all weather. While all-wheel-drive comes standard with the GLK250 BlueTEC model, some would prefer higher fuel economy over this feature in the GLK 350. Some people find that they would rather stick with the basics of driving and not fuss with learning new technology. Systems such as navigation controls and parking assistance may take some getting used to, but try not to rule out the helpful systems before giving the vehicle a fair chance. The small passenger doors and limited space in the back seat make it difficult to fit a large crowd, but the ability to drive smoothly and swiftly to destinations might decrease the amount of time crunched between a couple buddies. To be fair, other comparable vehicles have the same complaints of space limitations. Whether it is a mattress, couch, chair or car seat, preferences differ from person to person. The seats in the Mercedes-Benz GLK-Class lean toward the firm end of the spectrum, and this is not a favorite attribute for many drivers or passengers. Looking back at the list, several components may alter the buyer’s perspective of a suitable new vehicle. Many of a driver’s favorite qualities have been integrated into this new vehicle for 2015. While it retains high safety ratings and is comprised of technological advancements, considerations must be made with regards to seating arrangements. In addition, some of the qualities that are intended to simplify driving in the long run might take effort to understand initially. In the end, all points should be analyzed to find the best vehicle based on wants and needs. For some, the Mercedes-Benz GLK-Class is the best of both worlds.